Direct Access means that members of the public or professional organisations may instruct a barrister directly, without first engaging a solicitor. In order to represent members of the public on a Direct Access basis barristers must have undertaken training to the satisfaction of the Bar Standards Board. Every single practising member of KBW Chambers is trained and qualified to undertake Direct Access work. The service is extremely flexible. 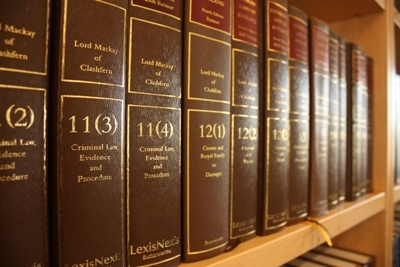 Our Direct Access barristers are experienced in representing members of the public in the full range of disputes, whether it be a discreet issue such as drafting a specific legal document, expert legal advice because you are contemplating litigation or representing you right through to a trial. Step 1: Contact our clerks and tell us what type of help you need. They will identify the KBW barrister with the most appropriate expertise in the area. Our clerks can be contacted on 0113 2971200 or at clerks@kbwchambers.com. Step 2: A barrister will review the circumstances of your case to ensure it is suitable for Direct Access and to suggest a plan of action. For example, your barrister might suggest an early conference so that you can meet and discuss the case in detail. Step 3: A clear schedule of the work required and the costs involved will be agreed between you and your barrister. Also, your barrister will explore with you whether there are any ways in which your representation could be free of charge to you, e.g. legal aid, home insurance policies etc. Step 4: You are your barrister will work together on your case in order to achieve the best result possible. Your barrister can represent you from the beginning to end of your dispute. Barristers at KBW can represent and advise members of the public in every one of our practice areas, e.g. commercial disputes, landlord and tenant, personal injury, employment, family and crime.e there any limitations on what work a barrister can do in a Direct Access case?